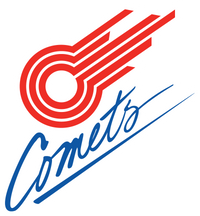 We are seeking a Ticket Sales Representative to join the Comets Front Office. You will target youth and corporate groups to increase ticket sales. We are looking for a salesperson motivated to pack the house and driven to help us sell out every one of our 12 home games. In addition to market rate salary, commissions, bonuses, and benefits, we provide weekly, ongoing sales training via the very best at Sandler Training. The Ticket Sales Representative is responsible for generating new business through the sale of ticket inventory, including the sales of all specified seating categories through phone calls, online communication, face-to-face appointments and networking, as well as servicing existing accounts. The ideal candidate will have a passion for the sports industry, a solid foundation of sales training, a desire to provide unprecedented customer service, and the ability to find creative and innovative programs to drive attendance and revenue for the organization. Sell tickets with a focus on youth and corporate customers (e.g., season tickets, premium seats, group sales, etc.). Prospect, establish, research and close ticket sales leads through phone calls, appointments and networking. Maintain high level of customer service to existing and new clients. Work closely with other departments to drive ticket sales. Create and develop new business by regularly identifying and pitching new prospects through external appointments and phone prospecting. Participate in various sales, team and community events as assigned. Represent organization at various networking events. Take an active role in the game day experience. Maintain accurate records in support of sales efforts as defined by the organization. Experience with Microsoft Office (Word, Excel, Power Point, Outlook) is preferred. Creative thinker with a desire and willingness to learn. Able to work flexible hours including nights, weekends and holidays. Exhibit sound judgment and decision-making skills.